Scrooge McDuck is the richest duck in the world. Regardless, he is searching the world for a lost treasure. He will have to explore jungles, castles, and mines to find all of the fortune. In each location he visits, Scrooge will also have to face a number of creepy and dangerous enemies. 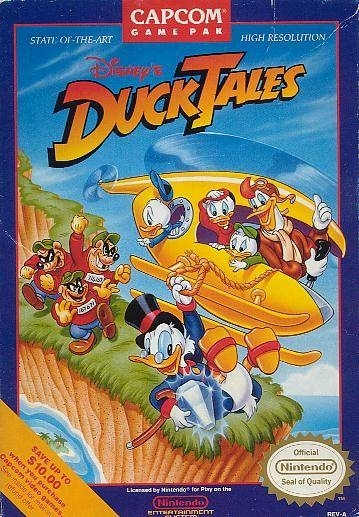 After completing one of the five levels, McDuck will be whisked to the next location by a variety of vehicles including transporters, a helicopter, and a UFO. 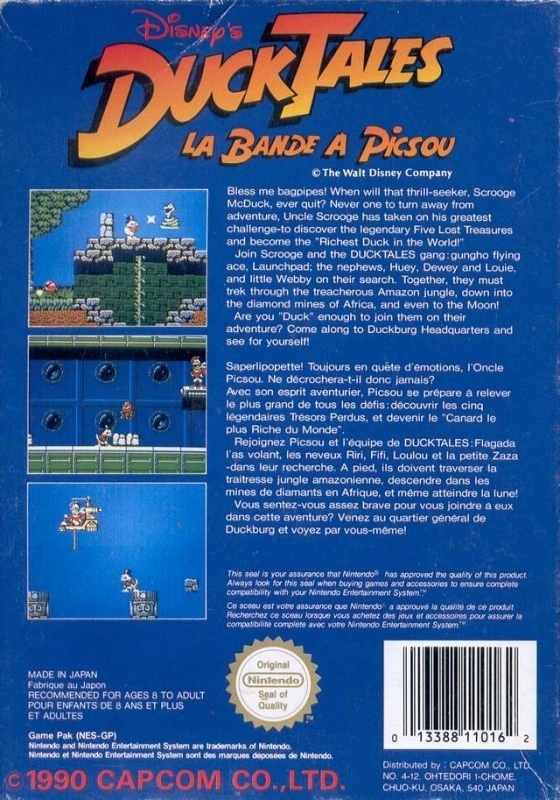 Help a rich duck get even richer in DUCK TALES. I used to play this for hours at my friends when I was a kid. Yeah brings back a lot of memories. Man I love old school platformers! 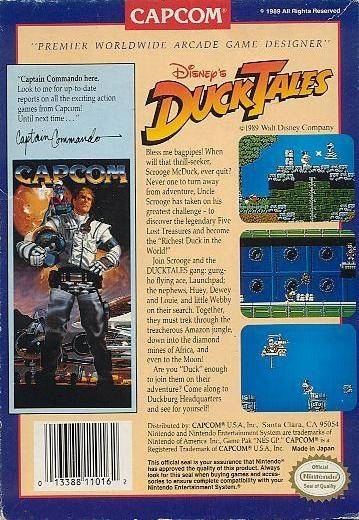 I completely forgot about how awesome this game was on the NES until I saw the Boxart.